I am honored to be a contributor to VICTORIA magazine. My first article on antique toleware is published in the October 2015 issue. 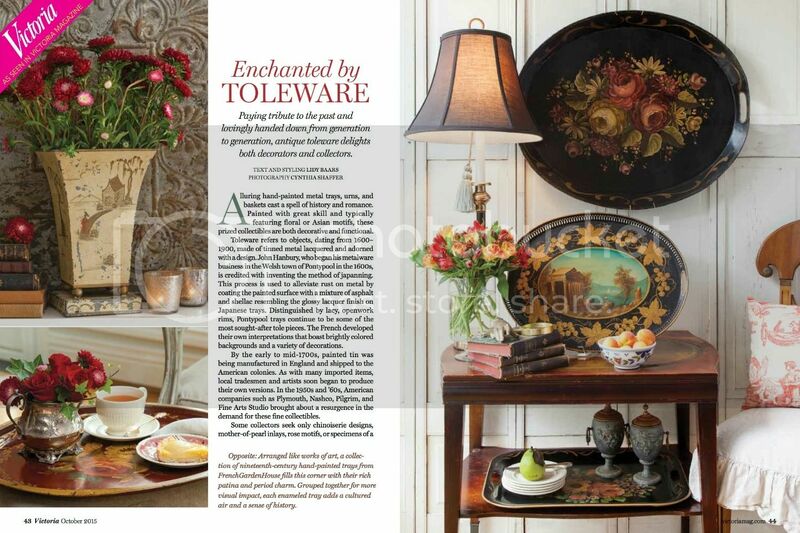 You can read more about Collecting Antique Toleware and Decorating with Antique Toleware.